We can't give you a quote from Graham Pickles Removals, but we have hundreds of drivers waiting to offer you a great price. Have a question for Graham Pickles Removals? No problem, send them a message and they'll email you back as soon as possible. If you have a more general question you might find it answered in the FAQ, or you always contact one of our brilliant customer service team. * Graham Pickles Removals won't be able to see your email address. 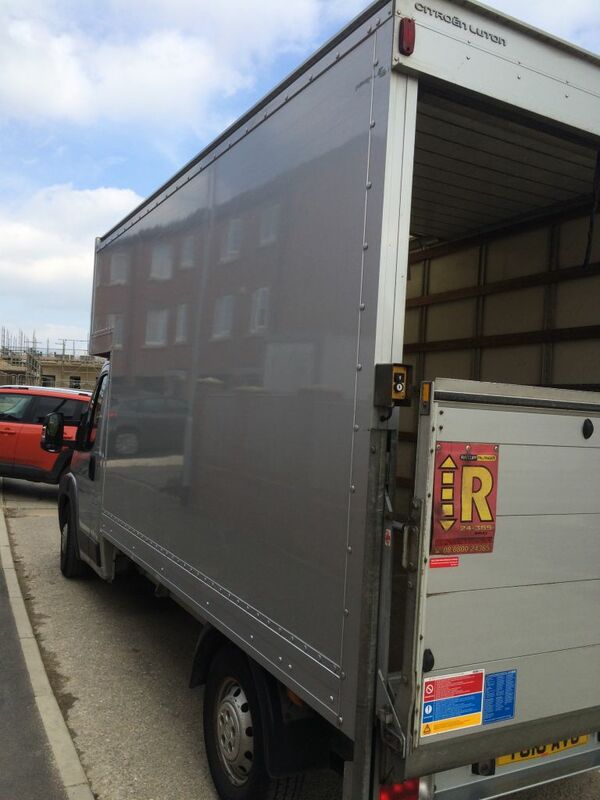 We've had a side curtain fitted on the kerbside since the profile picture, it makes loading and unloading much easier , on longer journeys where we need to stop, I can park against a wall for security purposes. I've been driving HGV rigids for years and just wanted a change , so Jane and I decided this would be a good way of working together and starting a business of our own , we love the long distance work , as thats still in my blood from my lorry driving . due to the tail lift we can carry 1 ton . We hope you enjoy your experience with us and hope to see you very soon ! Graham and Jane. The two people that came were not up to the job, The driver did not have the energy or the fitness to complete the job. On arrival at the new office (half mile down the road) he stated that he would be leaving the items on the ground floor although the job clearly stated fourth floor. He also stated that in the job the lift was adjacent to the entrance. I showed him the job sheet and it in no way stated that the lift was near the entrance. I paid in full but I would not hire this company again. I have to say they were extremely nice people. Hi , in response to the negative review , we can only say we are in shock , yes the first lift was adjacent to the office and my partner and I loaded the van outside the building with a few light objects but a lot more heavy boxes and awkward units and cupboards , no mention was made about the length of the walk to the two lifts been 130yds (213 footsteps) x 14 lifts on foot and sack carts , then from whichever lift was working as they were intermittent , it was another 30yds to the office , the two guys did eventually start to help but kept stopping for rests . We arrived early at no. 5 accent business park only to find it was an office in a separate block . We were absolutely knackered after the job and were going to mention it to you . I don't know how they could complain as they requested us to stop and help them as they said it was impossible to do it themselves , we weren't paid in cash on the night , I allowed payment by cash transfer against my wishes but payment was received , and bearing in mind they changed the date twice making me have to adjust my diary to fit their schedule , we are baffled at their response . There was no help whatsoever at collection as it wasn't all packed as suggested . On the subject of energy and fitness you would have needed to be an Olympian , they are been ridiculous and taking the Mick . Still , we wish him all the best with his business , but if he thought we were a negative 1 , he needs to reconsider his judgement . Yours sincerely , Graham and Jane. Graham & Jane were absolutely fantastic! They arrived early but set to work straight away and ensured a successful move. I cannot fault them for anything and cannot praise them highly enough. I would whole-heartedly recommend them to anyone. Very helpful, great service and would definitely recommend !